Yes, if you have the copyright that secures the rights to use them on your website, these can be added to the STATSCORE TeamCenter. We are proud of our wide range of satisfied customers. They come from betting, media and sports sectors. 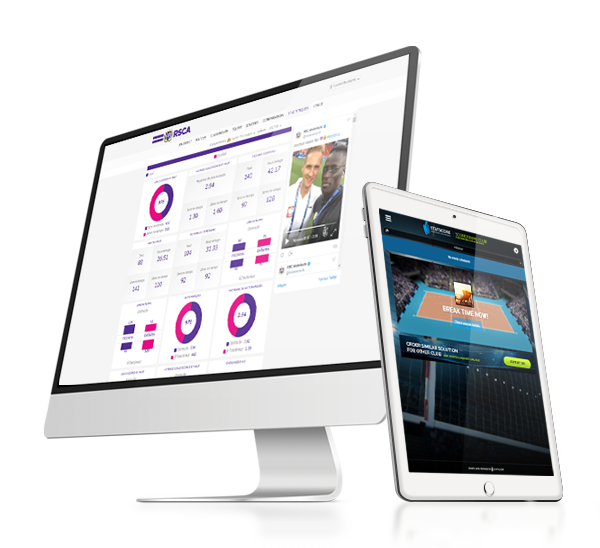 STATSCORE’s minisites – like TeamCenter – are all provided in a responsive design. Thanks to this our widget fits perfectly on mobile devices. Yes, STATSCORE TeamCenter will match your organization’s corporal identity. Will the STATSCORE TeamCenter be hosted on my server? The hosting is always secured on STATSCORE side. We guarantee a server that can handle the number of visitors you need and declare. At this stage, we have 30 languages that you can use. Adding a new one will take app. 2 weeks. You will get an access to special administration panel, which allows adding, changing and individualizing banners. Preparation is a really short process. It will take just few days while the final integration results in just a domain redirection from our server. The full process may take a bit longer if there is a need for an extra customization involved. But we are here to make it as effective and fast as possible.